Under the colonial Japanese system, there was no Congress for Taiwanese people to express their opinions and views. 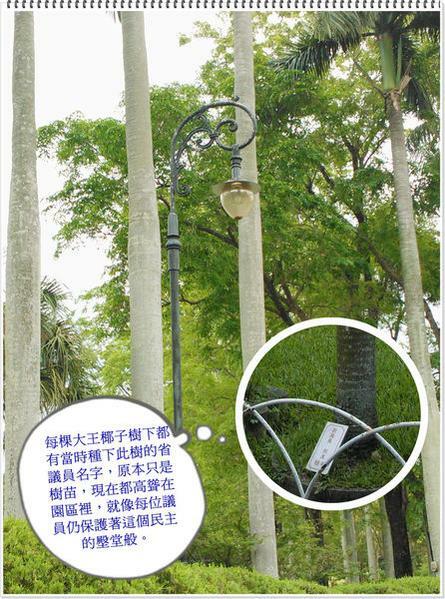 Taiwanese students did not have a chance to enter governmental functions. After they recovered Taiwan, the KMT enlisted local Taiwanese into the central government. 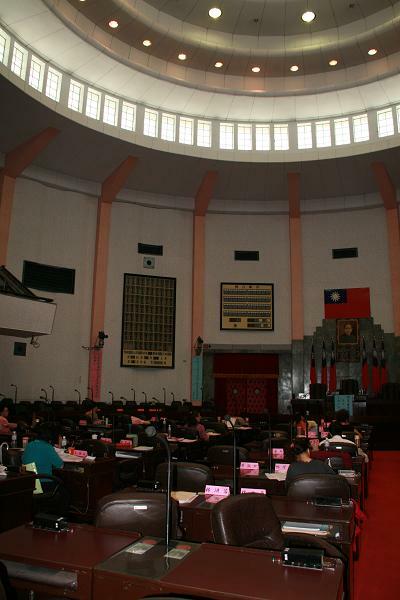 Based upon misleading information, American policymakers pressured Taiwan to remove the Taiwan Provincial Consultative Council. Why? 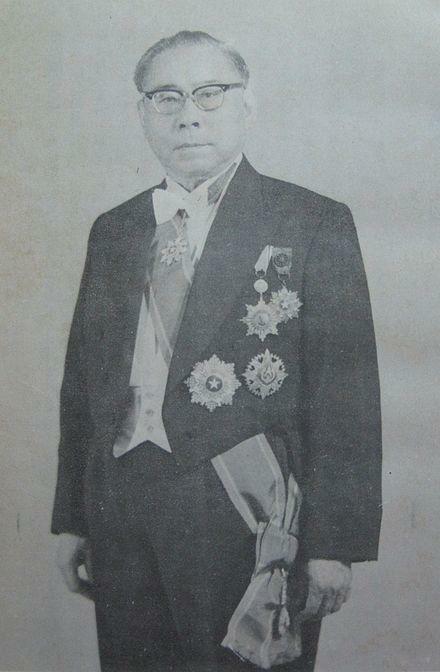 America was led to believe that local Taiwanese should be enlisted to work for the ROC central government, so they demanded President Chiang Ching-kuo to promote Taiwanese local Li Teng-hui, who instead abolished this democratic structure in 1998 after he ascended to power as ROC President. It is a shame that Americans did not understand that in Taichung we had friendly amicable cooperation between Taiwanese bankers and landowners together with KMT and the Central government figures such as Taiwan Provincial Chairman Yen Jia-gan to found a liberal political structure similar to a US State Assembly. 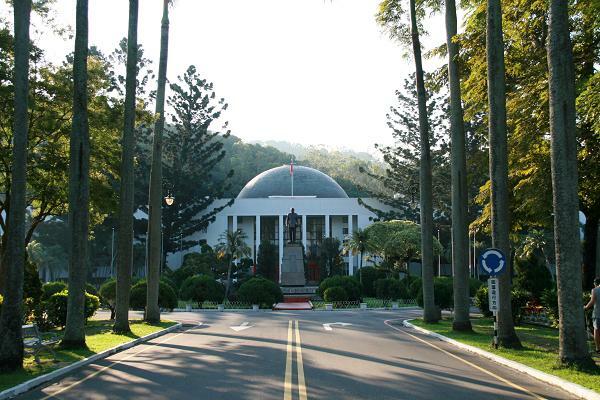 This construct was relocated in 1958 from the capital Taipei to Taichung because of Cold War safety concerns, so that the state capital was not at the same location as the national capital, in order to maintain the local character and independent voice. The architecture is like a US State Capitol with a dome, see photo. The lot was donated by local Taiwanese land tycoon Lin family who also built Taichung City Junior High, the first Chinese language middle school in Taiwan during the Japanese colonial era (1895-1945). The overall work was supervised by the KMT central party. The first Congressional head, Mr. Huang Chaoqin was the first ROC Taipei Mayor from Nov. 1945 to Feb. 1946 and the first ROC Provincial Council speaker of the House from 1951-1954. Mr. Huang participated in anti-Japan resistance movement during the war. Mr. Huang was central to early Taiwan democracy in that he led a group of 5 Congressmen and 1 Congresswoman, not to rubber stamp but as an eloquent voice. 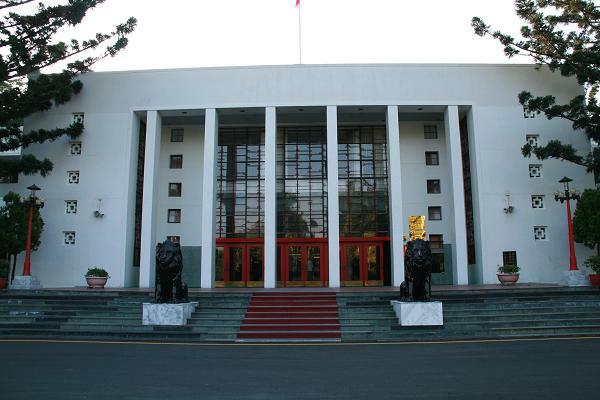 This parliament had a liberal ambience of free discussion without repercussions in comparison to White Terror.They asked to delineate the difference between Dr. Sun Yat-sen’s Three Principles and socialism, as during the Cold War, no one wanted to be identified as communists. There was freedom of speech, unlike the White Terror which does not reflect the true nature of the KMT or ROC. The Conference front wall was torn down once Assemblyman Huang discovered it was lower quality imported Japanese concrete in paper bags. Instead, he demanded to import high quality concrete in wooden bags, this is so that it wouldn't turn yellow. The Lin family also protected Chinese artifacts when the ROC retreated from mainland China. These Taiwanese locals had great rapport and cultural lineage ties with Chinese culture, as contrasted with Li Tenghui's own identity as of a Japanese militarist policeman's son who hated the fact the ROC removed the Japanese from Taiwan. It never bore well with Li when the Nationalists defeated Japan and recovered Taiwan when Japan surrendered. Li always has wanted to resort back to Japan rule. So once he became the ROC President, he froze all of the governmental constructs, and would only listen to Central Taipei. It became "one unison voice hall", with no longer any vibrant discussions and free expressions or critiques on his administration. 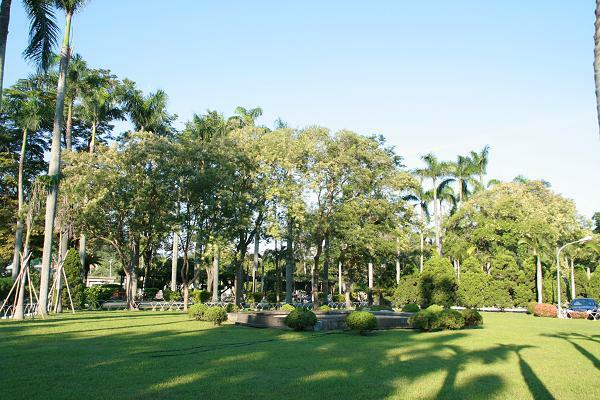 In my dream, I would like to restore this gardenlike humane dignified Taichung Provincial Council grounds. I was there when I was little with my parents to celebrate Autumn Moon Festival. We sat on green grass by the pond, and enjoyed cool breeze and moon cake. I know that it used to be a great peaceful dignified place that everyone was proud of. But it is no longer vibrant, it has become a deserted mosquito-infested museum with silent archives, but no longer with human voices. Japanese colonial sympathizer Li Teng-hui does not want us to have any voice, only servitude as a Taiwan colony forever under Japan’s rule. I want to restore the functionality of a proper congress that represents all of the people.